JOMO is one of the most impressive architectural builds in Second Life. JOMO reminds me very much of the grand imperial architecture in China's Beijing, most notably the Summer Palace which is set on an island in a three square kilometer lake. The most impressive thing about JOMO is the scale of the builds, and their perfect placement in relation to each other which which allows for very good photographic opportunities. 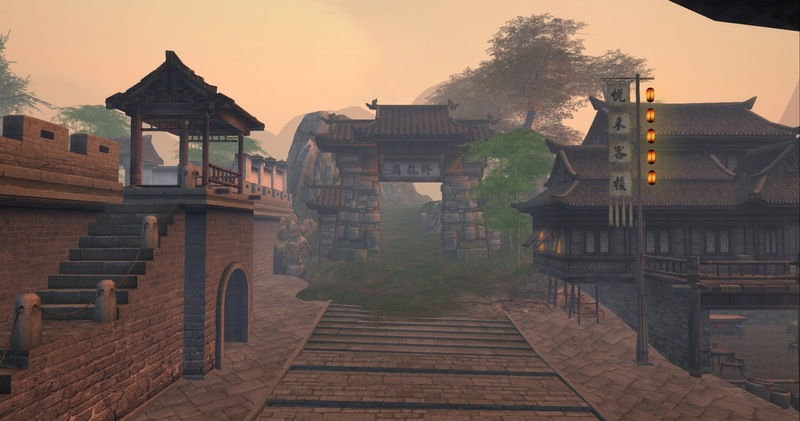 There is much detail as the street stand in the lower image shows, and very good landscaping, but it is the monumental architecture which most stands out here. I highly recommend a visit. 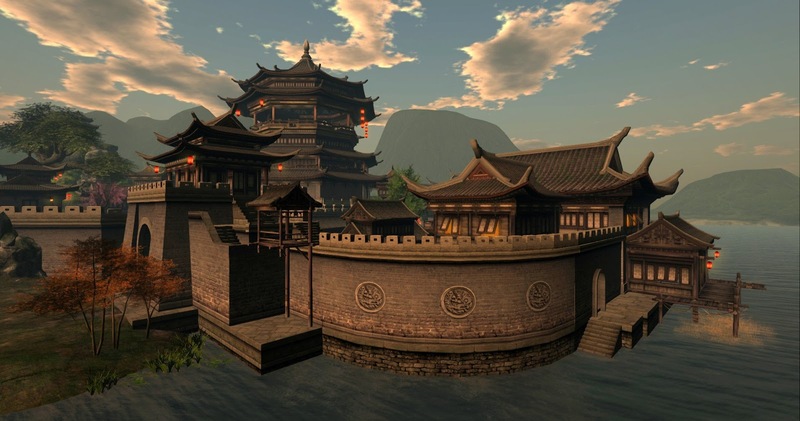 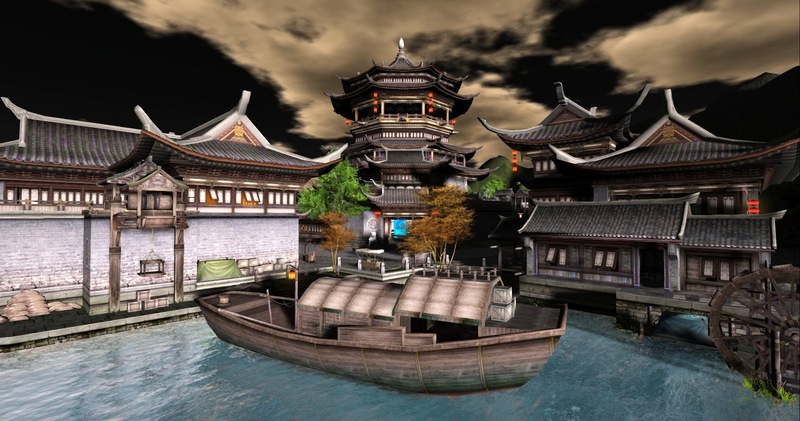 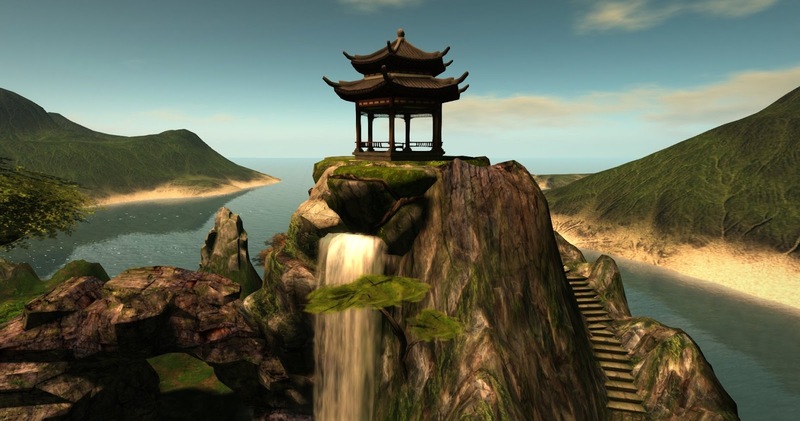 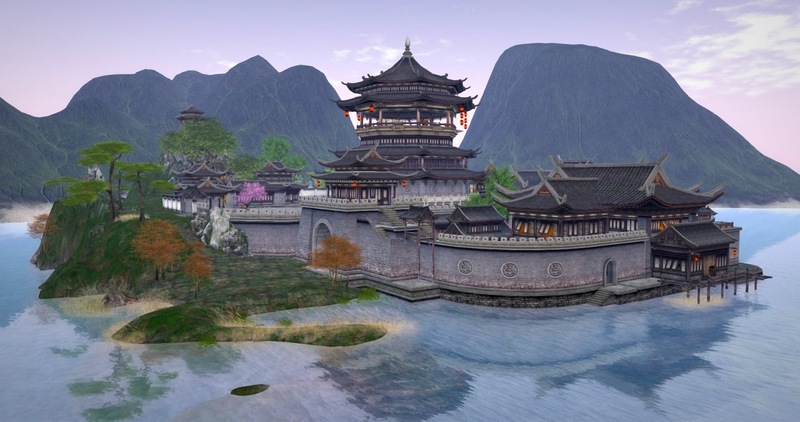 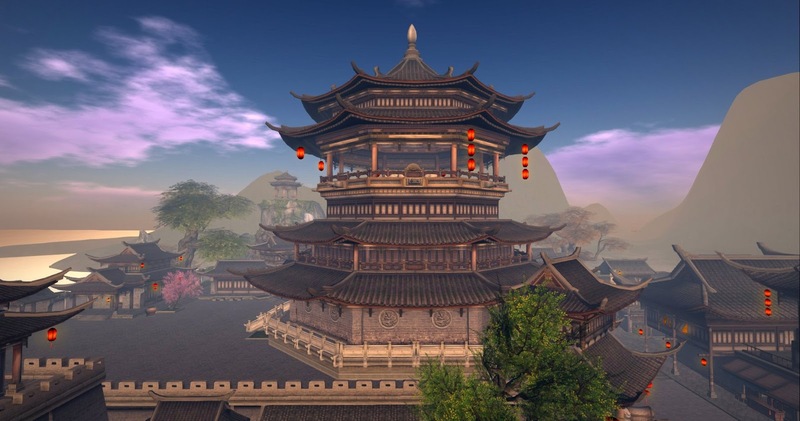 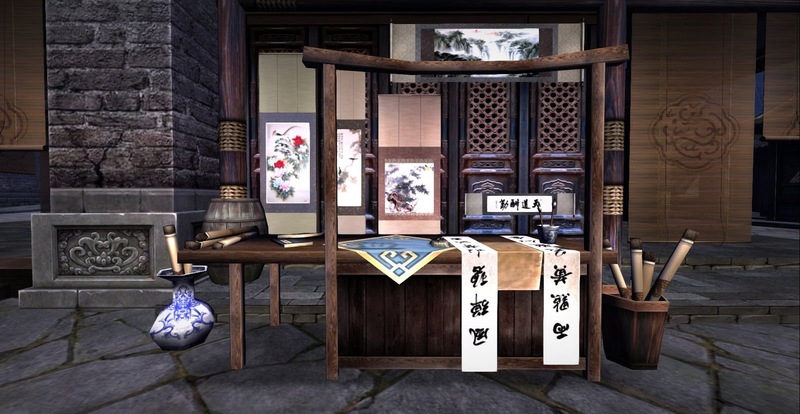 To visit China Island at Monash University, with more monumental Chinese architecture"
This machinima of mine dates back from 2009 - and shows a huge virtual Forbidden City that once existed over two sims in Second Life. 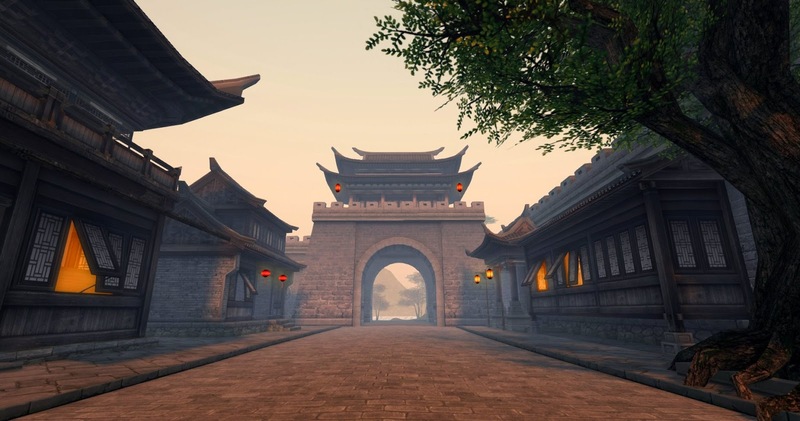 Although many of the textures and details may appear to be primitive to current designers, it is still interesting to see as virtual architectural history. I did the original photography for the old VR Style Magazine -- the red cover which you can see in the machinima is the best one I think I created for the publication.